Happy New Year. It has been a COLD winter so far with gentle rains promised for the winter and spring to come. What does that mean for the garden? FIRST: LESS WATER. Twice weekly irrigation is the most effective water schedule for your garden at this time of year. When daytime temps drop to 50 & 60 degrees, watering once or twice a week is plenty. This remains true for bedding plants, vines and shrubs. It is cold…your plants aren’t doing anything at the moment. They’re not using any energy, so they don’t need any energy. Don’t tease your plants with just a taste, water long enough to fully saturate the entire root ball. Take the time to ensure your irrigation system is working properly— don’t mix drip & adjustable irrigation heads on one line. 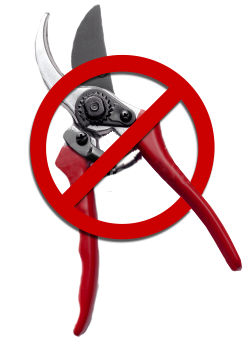 This is one of the most common mistakes we see landscape and garden technicians make. Help ’em out, check it out. Always water with purpose. SECOND: NO TRIMMING OR PRUNING. Most local gardens have suffered some frost damage. It is a rite of passage during winter, even in our Desert. Leave the foliage alone. Better yet cover those tender, damaged plants with Freeze Cloth to further protect new growth. Keep them covered for several days if need be, freeze cloth breathes and will not damage plant material the way plastic or bed sheets might. THIRD: PRE-EMERGE. Pre E WHAT? January and February are prime months for pre-treating to prevent tenacious weeds from invading the garden once the weather warms up. Granular herbicides applied now will prevent spring germination. Use BONIDE DURATURF CRABGRASS & WEED PREVENTER or AMAZE GRASS & WEED PREVENTER for your lawns and ornamental beds. Ornamental beds are otherwise called flower beds or planter beds. Most pests go dormant during cold weather. You may continue to see signs of the pests right now so bring us a leaf sample and we will get you armed with the right defense when these pests return— and they will return. Use liquid fertilizers such as Miracle Gro or Foxfarm during colder weather. FOURTH: ROSES. Each year, we comb through our wholesale growers rose selections to choose roses best suited for the Desert. Not all roses are meant to grow in our area, this being the single biggest issue when creating a successful rose garden in the Desert. Heat tolerance and disease resistance reign supreme. 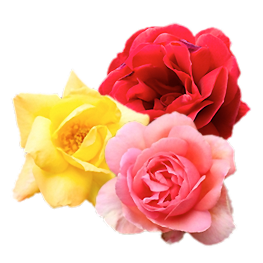 Size matters in the rose world, we look for large, fragrant blooms whose colors do not fade as the buds open. Our 2016 ‘bare root’ roses are almost ready for release. Why ‘bare root’? At Moller’s, we plant actual bare root roses, starting them in biodegradable pots using enriched soil to ensure you have good luck when the roses make it to your garden. Just plant the rose – pot and all – in the ground and watch them grow! planting them in biodegradable pots using enriched soil to ensure you have good luck when the roses make it to your garden. Just plant the rose – pot and all – in the ground and watch them grow! Click here for this year’s rose selections. Email us at flowers@mollersgarden.com to reserve your roses now. We are open 7 days a week to answer any and all questions you may have.